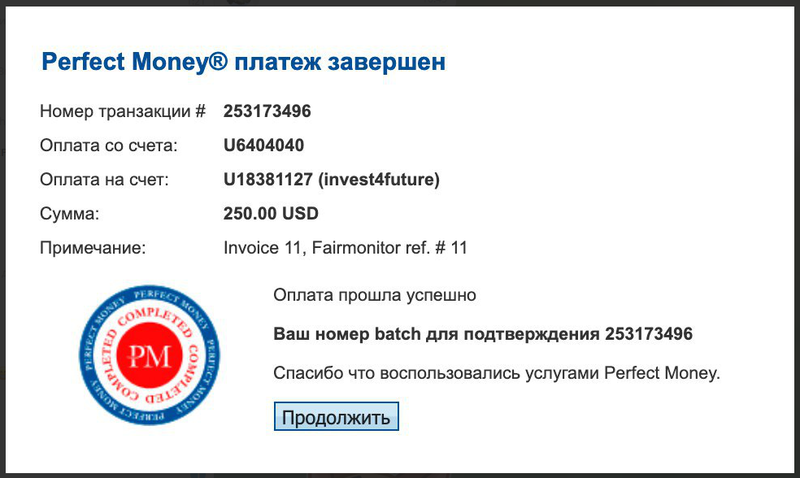 invest4future	+0.75 Received Payment 0.75 USD from account U18381127. Memo: API Payment. Invoice 42, Fairmonitor. Memo: API Payment. Invoice 95, naale.. Memo : Shopping Cart Payment. Invoice 193, . Memo: API Payment. Invoice 188, naale..
invest4future	+35.75 Received Payment 35.75 USD from account U18381127. Memo: API Payment. Invoice 205, Fairmonitor.